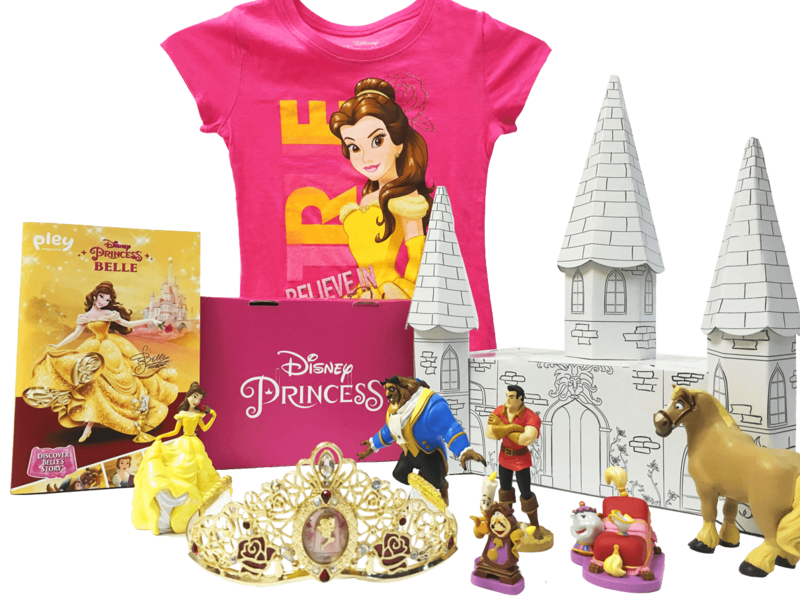 Each mystery box tells a story and includes 4-8 Princess figurines, accessories & goodies to keep. Pley is the leading monthly toy service and there is a HUGE reason why. With Pley, kids play with the brands they love and use their creativity and imagination, while parents save money, reduce clutter and conserve the environment. If you haven’t heard about toy rental companies, look no further than the best one in business. From LEGO to American Girl and even drones – your child gets an opportunity to enjoy some of the best and most expensive toys in the country. As parents, we want our kids to turn off their gadgets and turn on their imaginations by playing with creative toys. Being frustrated with finding the appropriate toys to my children as their interests change constantly, I realized there had to be a smarter way to play. Here was what was in Brooke and Brie’s Disney Princess Pley Box! A magazine all about Ariel! 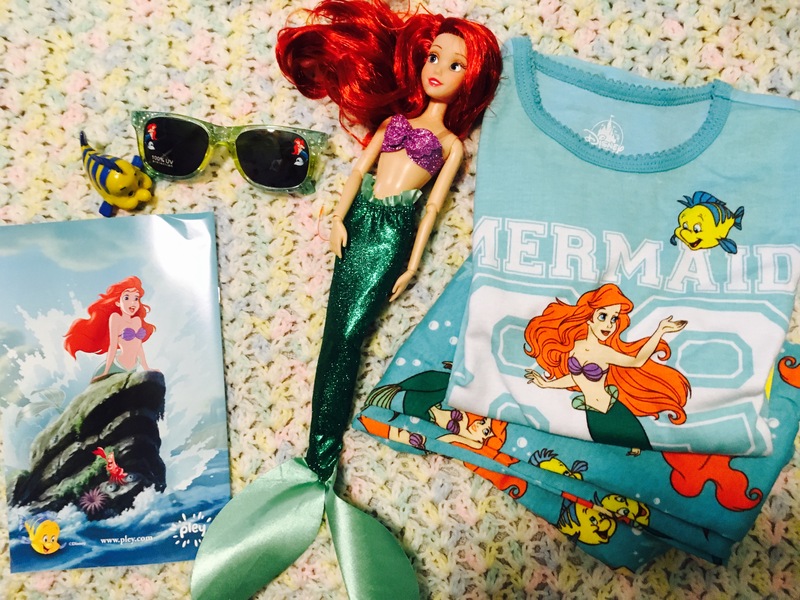 The Disney Princess Subscription Box proved to be a winner because both of my girls love Ariel! It was easy to split the box between the two sisters because Brooke (who needed new pjs) FIT into the pajama set and little Miss Brie had her eye on only one thing – that ARIEL DOLL. This well made and glittery mermaid is a beautiful toy and Brie is being extra careful with her. What I really loved was that the box it came in could be turned into a castle! Genius! Pley is an amazing company that is doing socially responsible things through imaginative play. Success! Charity! As a socially responsible company, Pley donates toys to underprivileged children and is a Benefit Corporation with higher standards to benefit our customers, society and the environment.